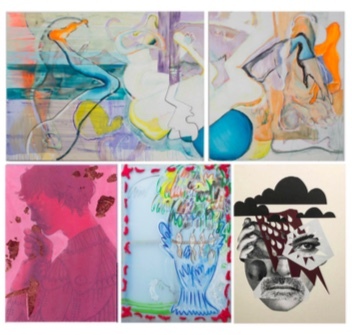 ArtMoorHouse in association with Creative and Revolutionary Arts Pro-jects Magazine is proud to host, under one roof, 10 great artists presenting their most ambitious work. Each artist with their unique and powerful visual language, will present work that is a response to their concept of reality. Creating work that one cannot be indifferent to, they are gaining a reputation of young creatives to ‘keep an eye on’. Full of metaphors and hidden meanings, their works explore the subjects of subconscious, disintegration and materiality as an integral part of being human.